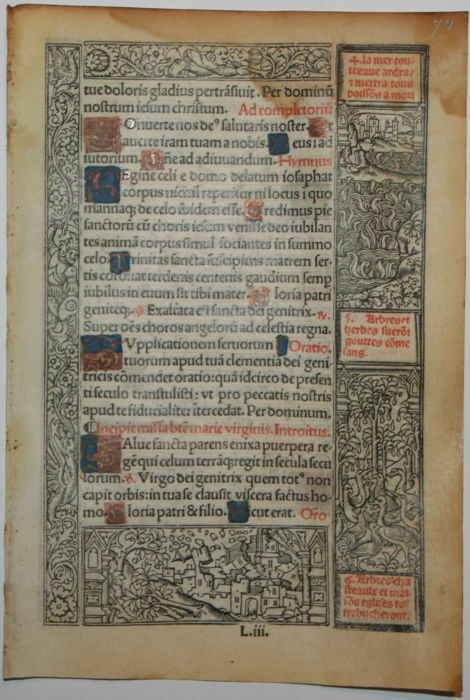 Vellum / parchment - 16 × 10.5 cm. 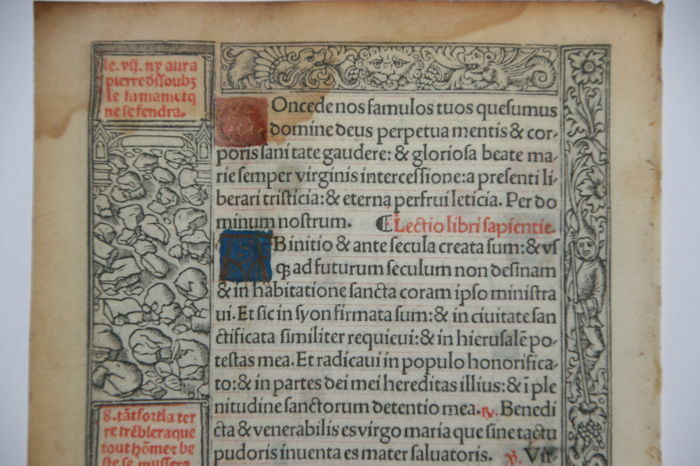 This 16th-century leaf is from a Latin prayer book that was printed by Thielman Kerver in France in 1505. 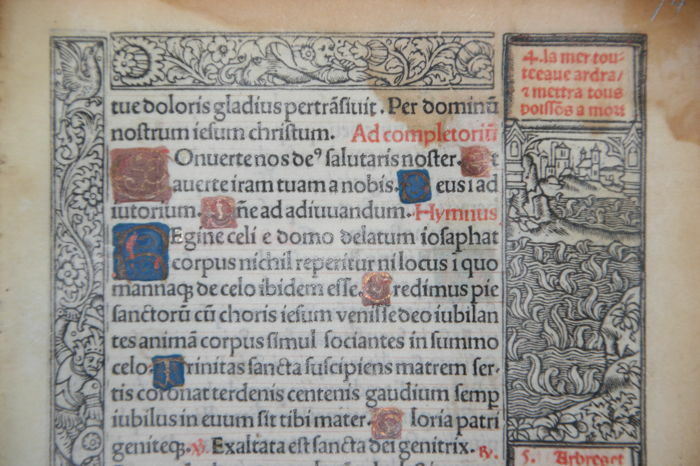 Before 1497 books of hours were written by hand; this leaf is from a printed book. 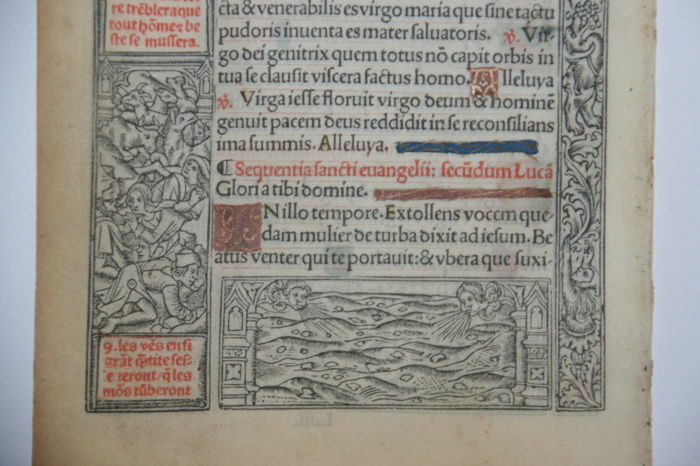 Next to the text, there are prints with scenes from the Bible. This is a leaf on vellum (thin parchment - animal skin) with beautiful hand-decorated initials. 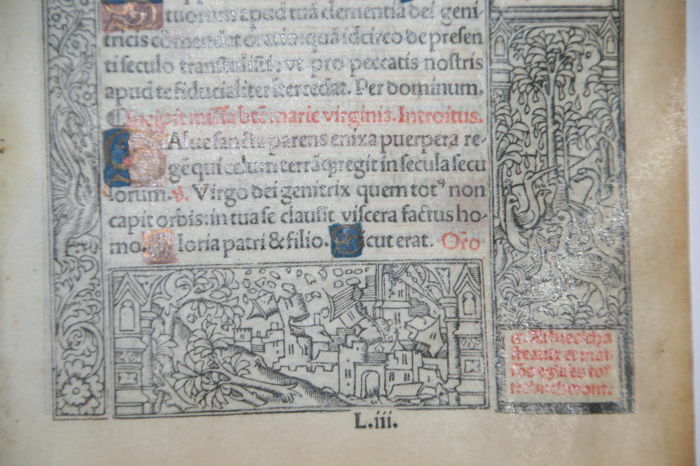 In addition, the leaf has 3 miniatures in the text. 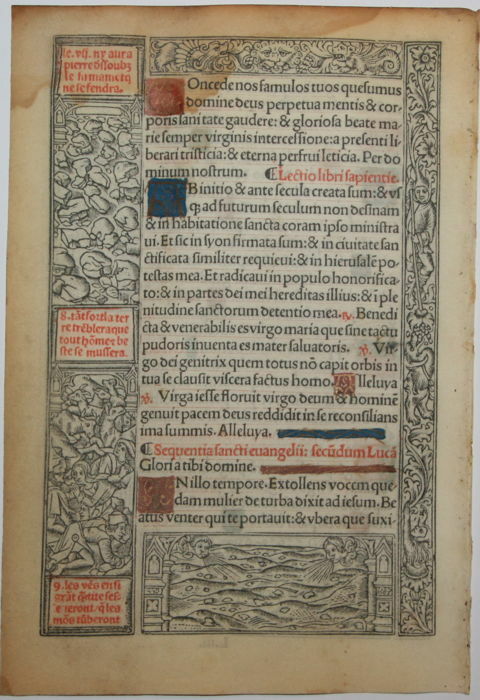 This is an original and unique piece from the 16th century. Condition: although more than 500 years old, the manuscript is still in good condition; the vellum is slightly tanned and there are some brown spots. Elements that determine the value: its rarity, quality, age and attractiveness. This would be a masterpiece in any serious collection. Alles was weer dik voor mekaar. Puoi ritirare questo lotto direttamente presso il venditore: Ermelo (Gelderland), Paesi Bassi.